While March is still in its leonine phase, Flavorwire helps us stack our TBR piles for these last weeks of winter with some must-reads for March. On his blog Terrible Minds, author Chuck Wendig reminds us how to play nicely with others on the internet. The Renegade Writer, whose blog is aimed at freelance writers, offers some advice for building editor relationships that applies to anyone hoping to break into publishing. And now a happy thought with spring in mind: While American kids honored Dr. Seuss with Read Across America activities, children in the UK and Ireland celebrated World Book Day, a one-day event in which kids come together and read. Books are offered through the event's website at discounted prices with the aim "to encourage children to explore the pleasure of books." A Jersey girl born and bred, Rosie Genova left her heart at the shore, which serves as the setting for much of her work. Her new series, the Italian Kitchen Mysteries, is informed by her deep appreciation for good food, her pride in her heritage, and her love of classic mysteries, from Nancy Drew to Miss Marple. 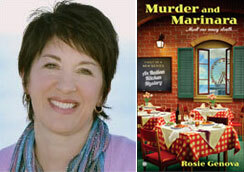 Her debut novel, Murder and Marinara, was named a Best Cozy of 2013 by Suspense Magazine. 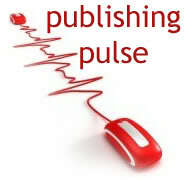 The second book in the series, The Wedding Soup Murder, is slated for release September 2. An English teacher by day and novelist by night, Rosie also writes women’s fiction as Rosemary DiBattista. She lives fifty miles from the nearest ocean in central New Jersey with her husband and two of her three sons.